I specialize in popular culture from the 1920s to the present - music, movies, animation, authors, etc. I believe that autographs and original memorabilia are a unique way that we can connect with our favorite actors, artists, writers, and other significant figures. I'm Jewish but Jesus would be a pretty cool "get"
Member of UACC, IADA-CC, ABA, Manuscript Society, & Ephemera Society of America - Authenticity Backed by a Lifetime Moneyback Guarantee! 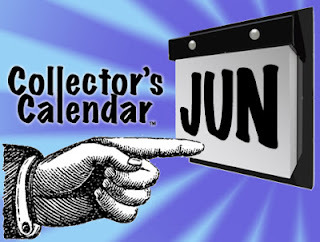 News about Celebrity Autograph Signings and Autograph Giveaways plus Articles on Collecting Pop Culture Memorabilia, Historical Manuscripts, Signed Books, Limited Editions, and Original Art!